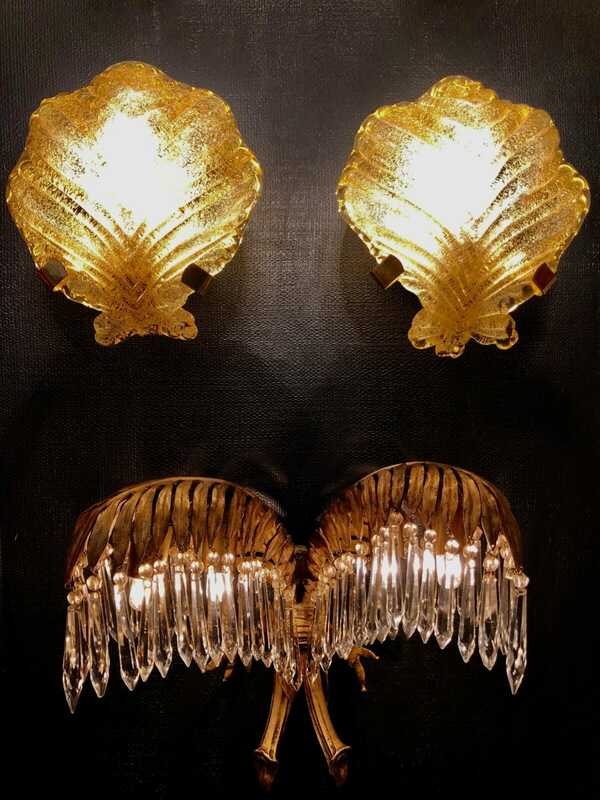 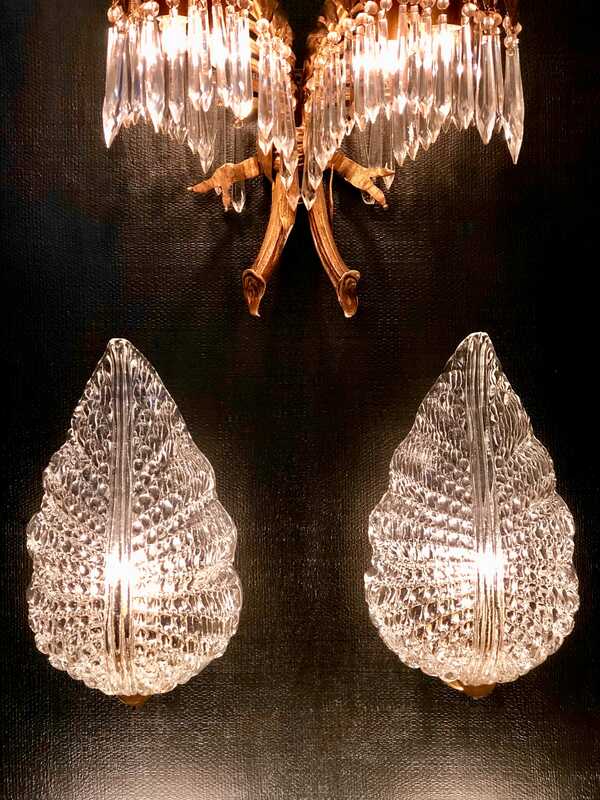 These sconces are a true reflection of the Hollywood regency period. 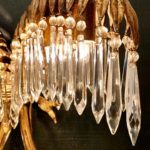 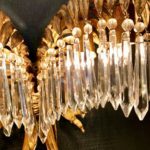 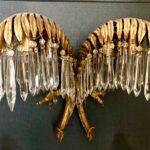 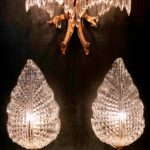 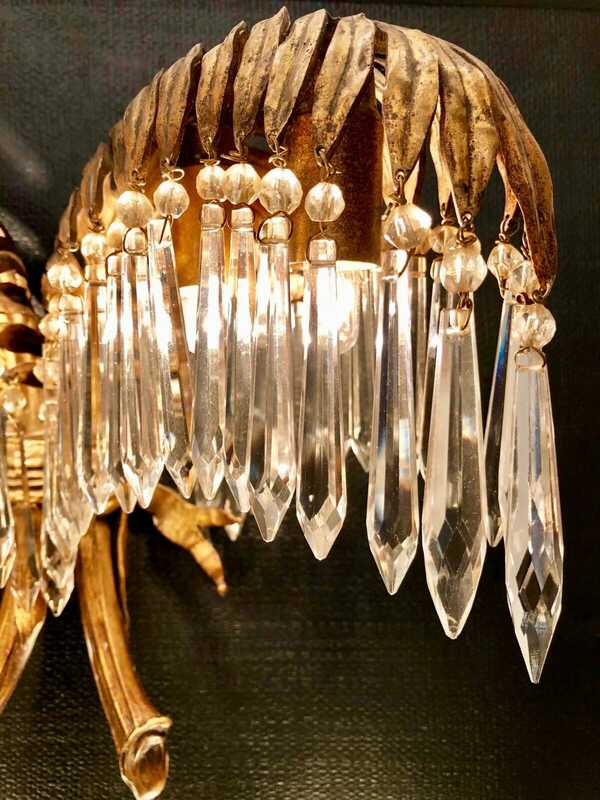 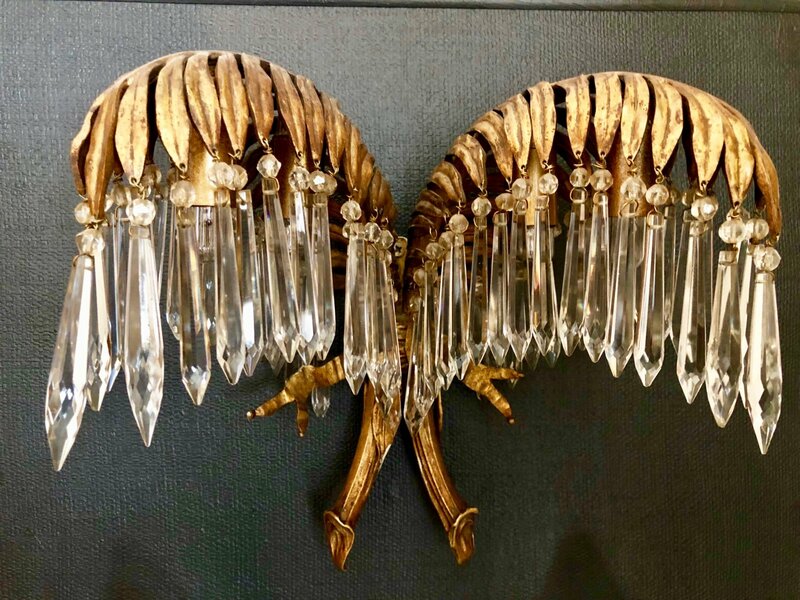 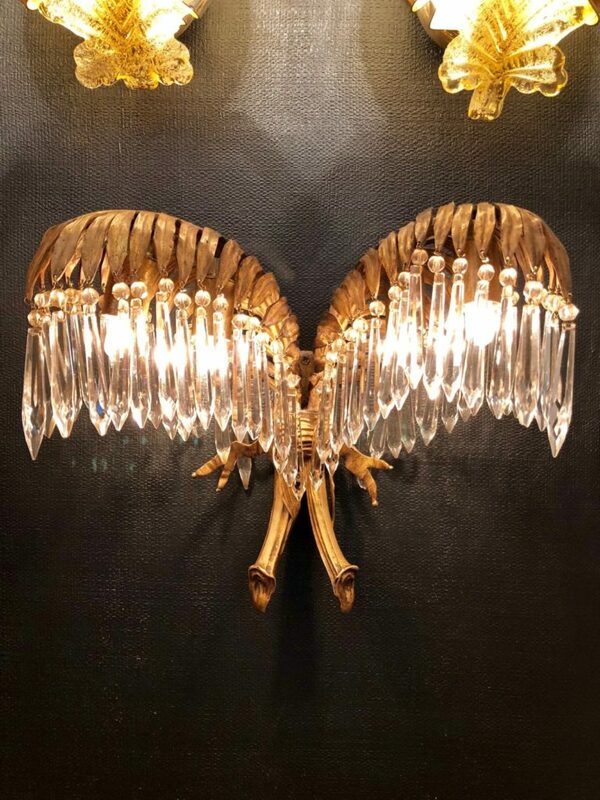 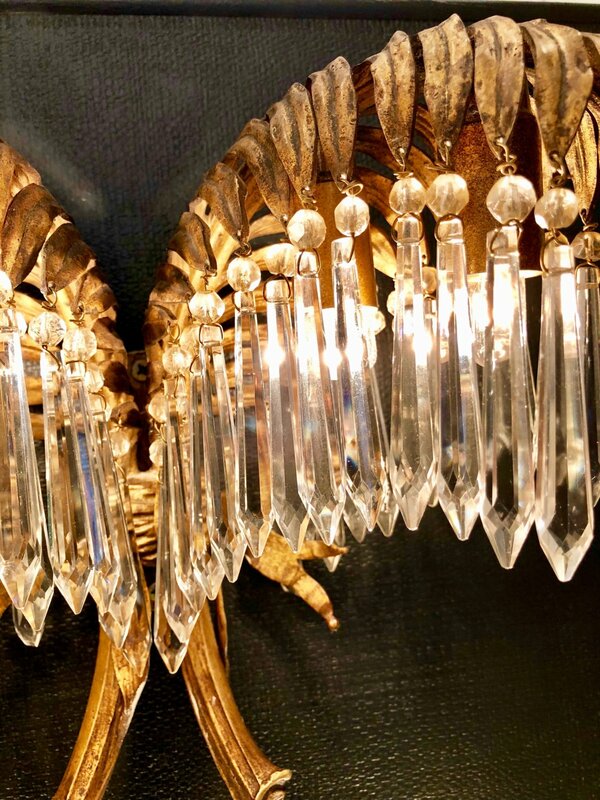 These would be a great addition to a powder room, with each sconce emitting the light of two bulbs through elegant crystal prisms. 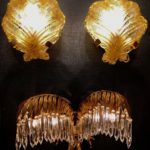 Could possibly be of design house ‘Bagues’. 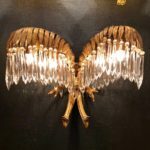 Re-wired to NZ standards.